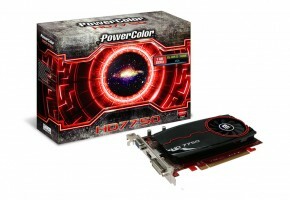 MSI has released the roadmap of AMD’s Radeon HD 7000 Series cards. 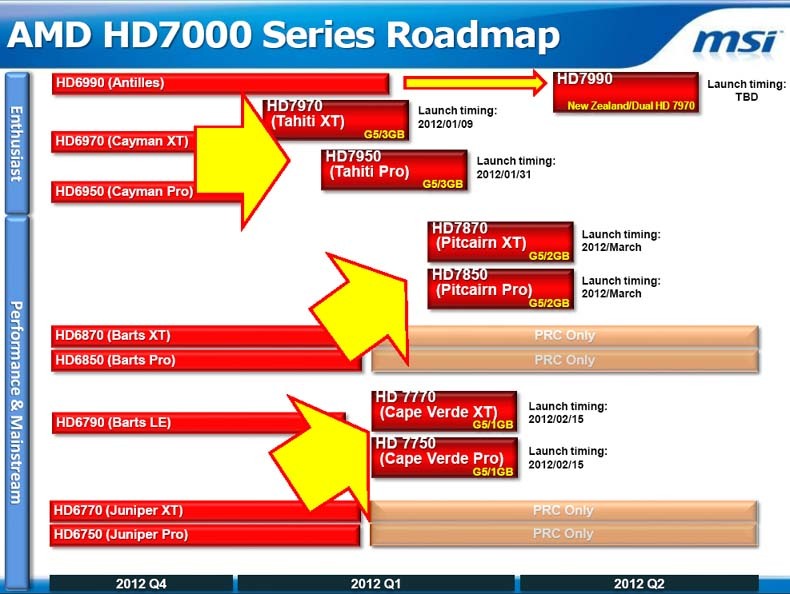 According to this slide, we can expect Radeon HD 7770 and 7750 on 15th February and HD 7870/7850 in March. Everyone who is expecting to grab one of the newest graphics cards is probably waiting for cards from performance market segment. These cards are not cheap but are also not that expensive. 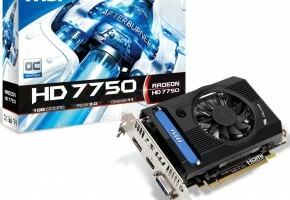 First Radeon’s to be released after HD 7950 would be HD 7770 and 7750, which is launching on February 15th. Next to follow are cards from HD 7800 Series, which are expected in March. 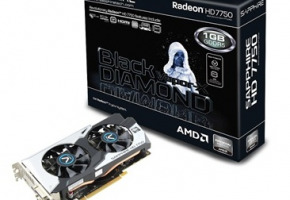 Radeon HD 7770 and 7750 will both feature 1GB of GDDR5 memory. According to previous reports card would be clocked at 900 MHz core frequency, which would include 896 and 832 stream processors, and 56 and 52 texture units. 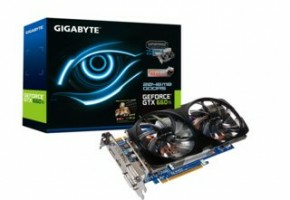 The HD 7770 will be priced at $149, and HD 7750 will be available at $139. 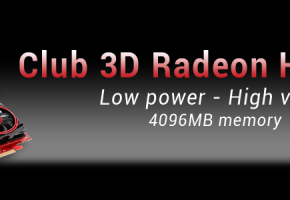 Radeon HD 7850 and HD 7870 featuring 2 GB of RAM will have core and memory frequencies, comparable to 77×0 series, however they will pack from 1280 (HD 7850) to 1408 (HD 7870) stream processors, and from 80 to 88 texture units. HD7870 will retail for $299, and HD7850 will be $249.